2102 - 69 Avenue SE, Calgary AB. 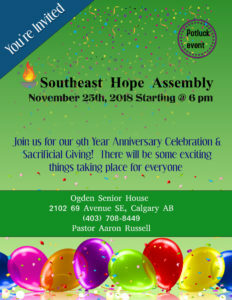 SEHA is celebrating nine wonderful years !! You are invited to join us and be apart of this exciting celebration.